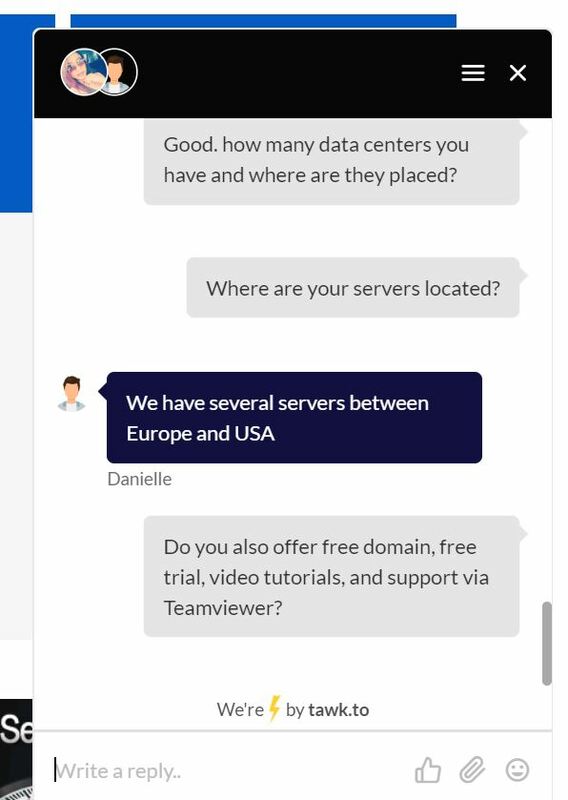 AdvanceHost Review 2019: Is AdvanceHost a Good Hosting? Rapidly growing Brazilian hosting provider AdvanceHost offers reasonably-priced hosting plans and advanced audio/video streaming services. AdvanceHost has been a well-known web hosting provider in the fast-growing Brazilian market since 2004. It provides innovative, high-quality hosting services at reasonable prices from a properly-designed but Portuguese-only website. Beginners with little technical background will appreciate AdvanceHost’s SitePad website builder, cPanel on CloudLinux, and the Softaculous auto-installer with over 400 scripts. You get a free SSL certificate and cPanel migration with every hosting subscription, and unlimited resources (including unlimited traffic, unlimited FTP accounts, and unlimited databases). It’s not all good news. The shared hosting storage is somewhat limited (maybe because it’s SSD), the cPanel is in Portuguese (and it’s not clear if it is also available in English), and there is no free domain with hosting plans. PHP support is limited to v5.5. This host puts particular focus on audio and video streaming. It offers several TV, live video, and on-demand streaming plans with full HD quality, a built-in API, an Android app, Flash and HTML5 players, and much more. AdvanceHost has three technologically advanced green data centers in Canada, Europe, and the U.S.A. that promise 100% network uptime, especially for the aforementioned audio/video streaming. AdvanceHost offers very affordable prices, but note that the standard web hosting plans are all “sold out” so you have to opt for one of the eight premium hosting plans. These all come with unlimited bandwidth, unlimited FTP accounts, a free SSL certificate, and free site migration, and they differ mainly in terms of the storage capacity and the number of email accounts. You can pay for plans by bank transfer, PayPal, or credit card. AdvanceHost’s packages are non-refundable, but a support agent did tell me that you can request a refund in the event of problems with the service. You can also take advantage of a 3-day free trial that gives you just a little time to test the services. While it doesn’t provide cloud or VPS hosting services, AdvanceHost does provide a good range of web hosting services that include shared hosting, audio/video streaming, and reseller hosting. The prices are ideal for tight budgets and are especially good when you consider the excellent uptime and included features such as free SSL certificates, Softaculous auto-installer, and a website builder. Get affordable hosting and advanced streaming at AdvanceHost. 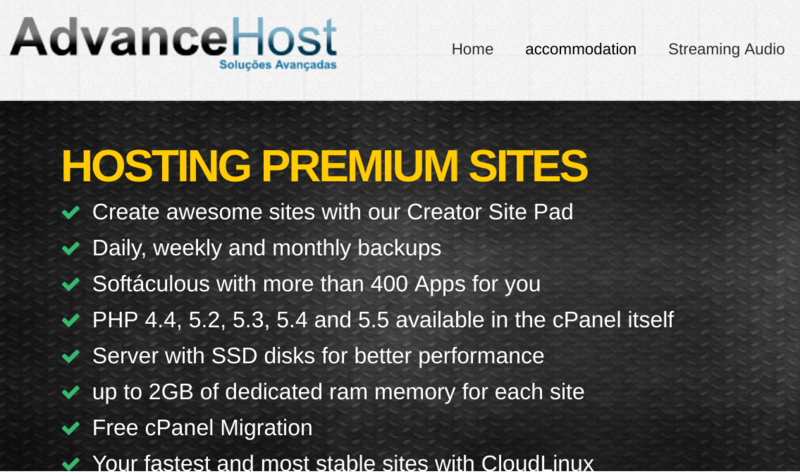 Wondering how AdvanceHost stacks up against other Web Hosting companies? Enter any other Web Hosting company and we will give you a side-by-side comparison.